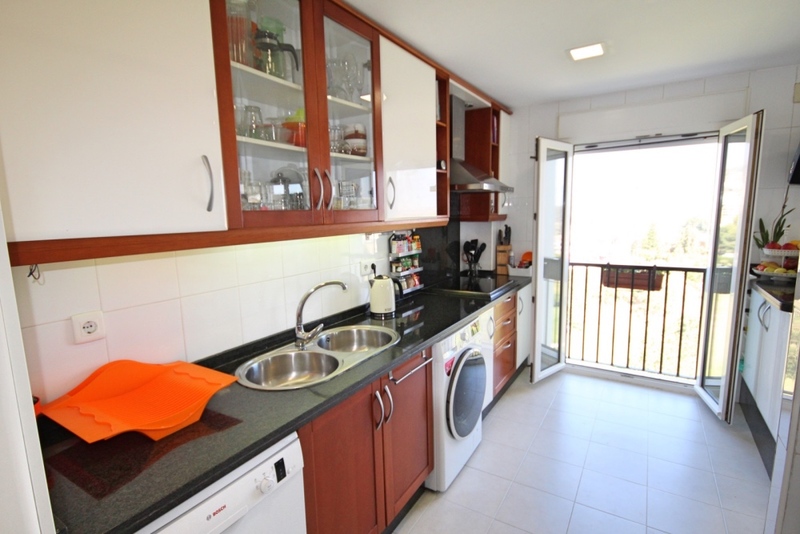 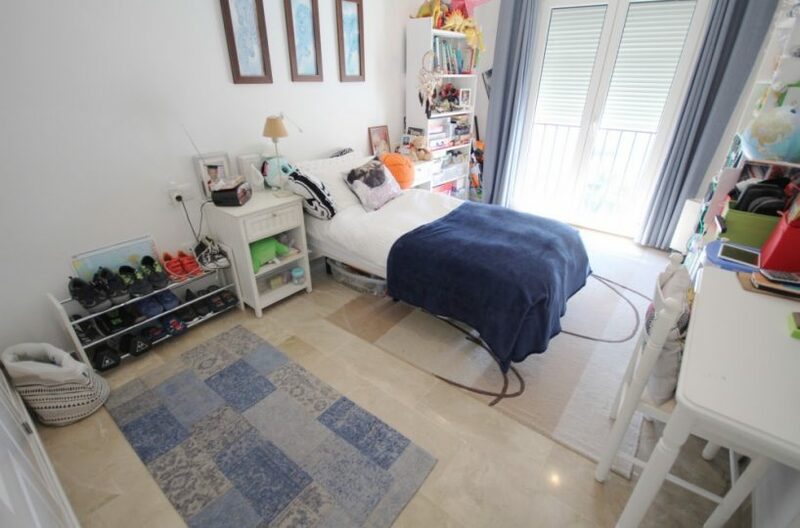 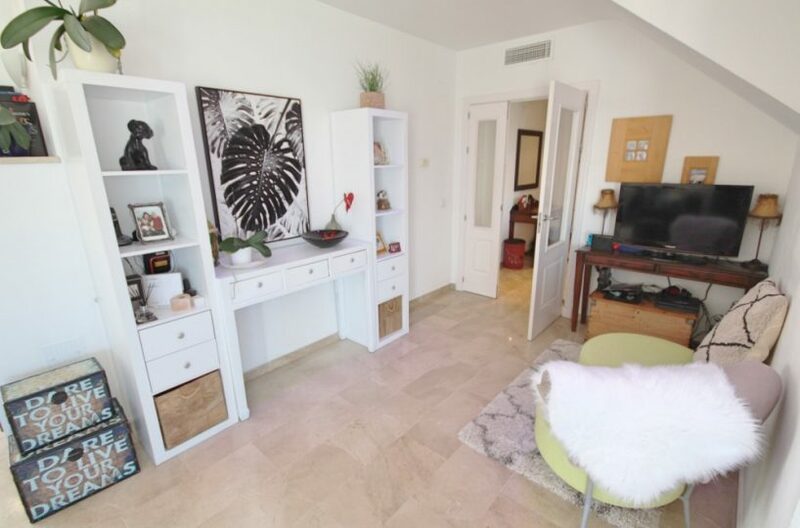 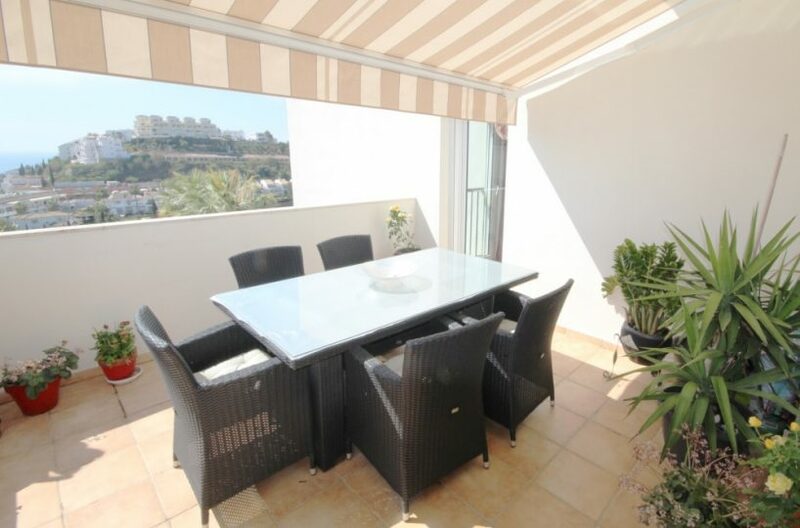 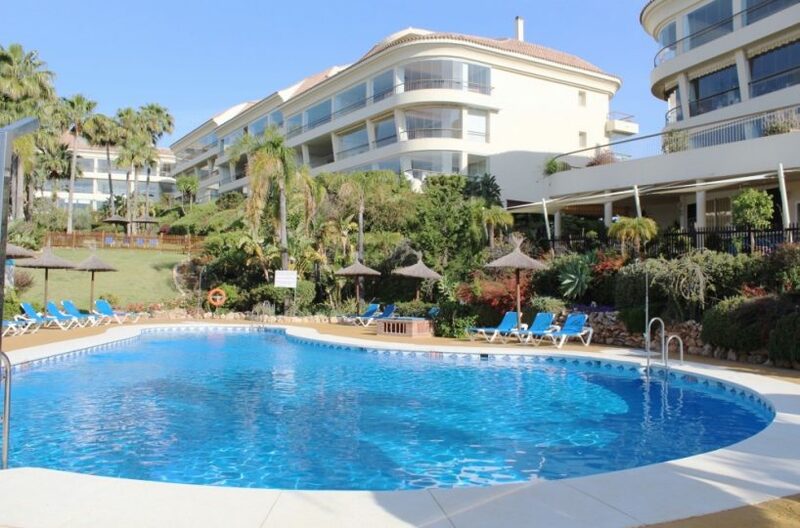 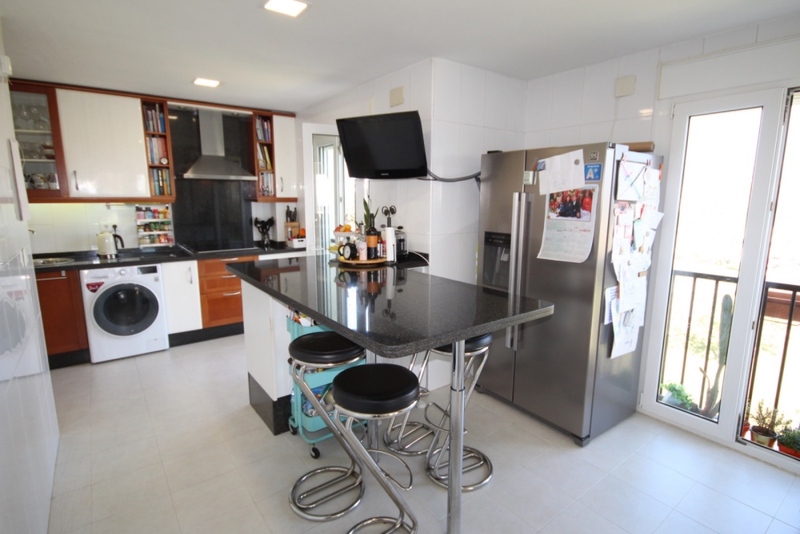 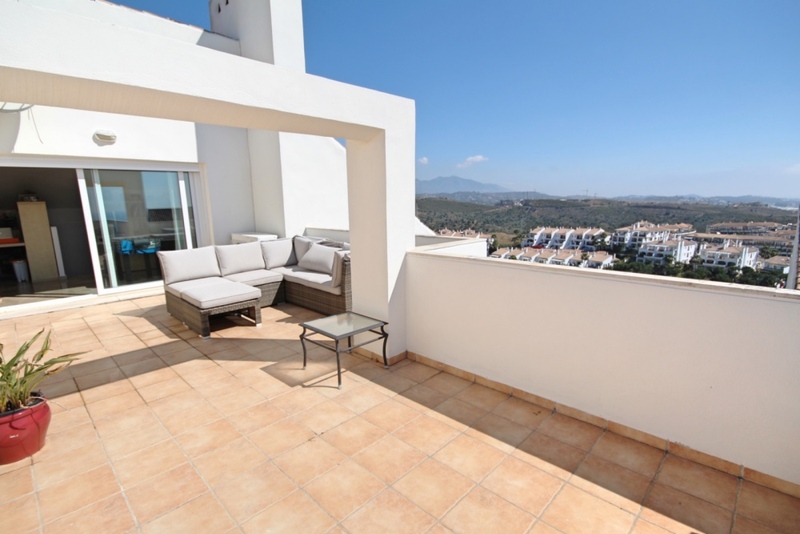 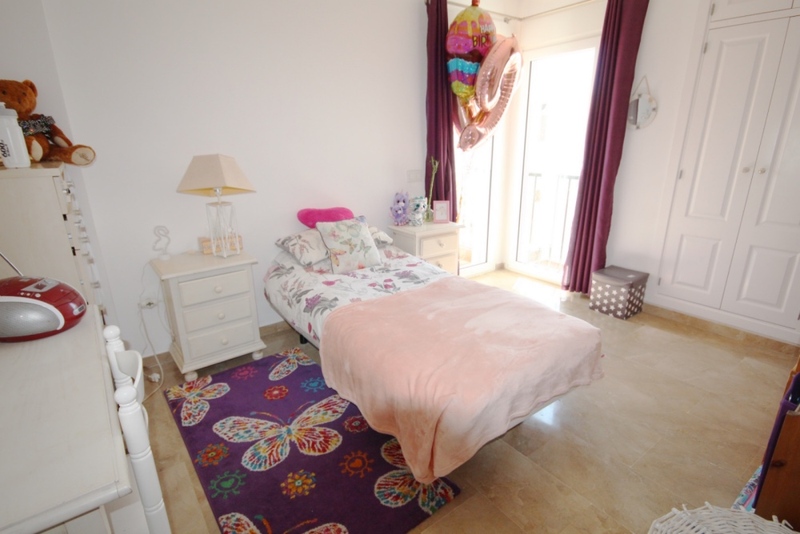 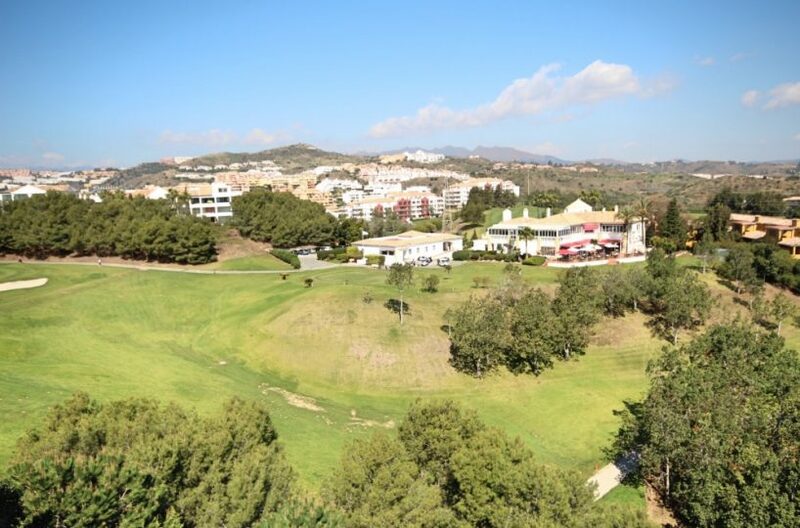 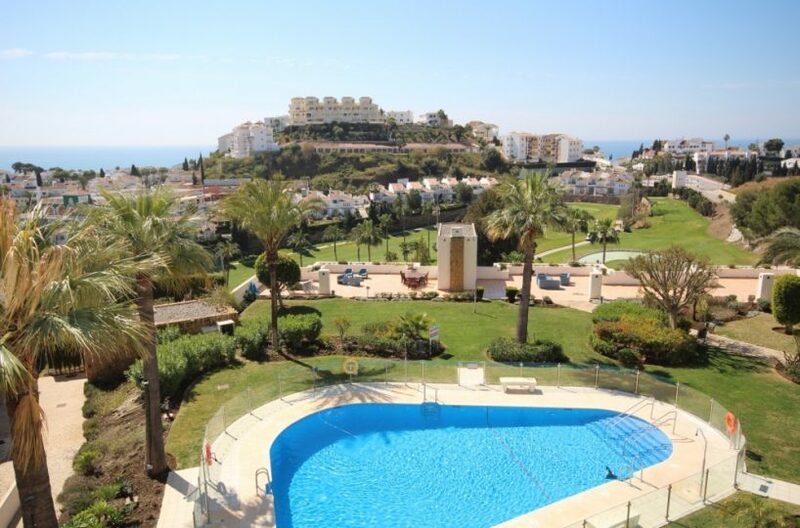 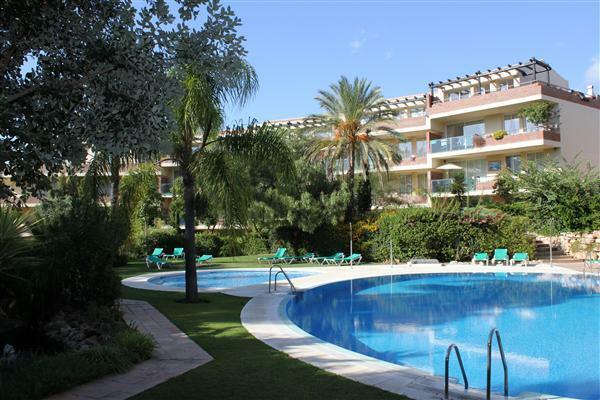 Duplex penthouse apartment with 4 bedrooms for sale in Golf Gardens Miraflores in Riviera del Sol, Mijas Costa. 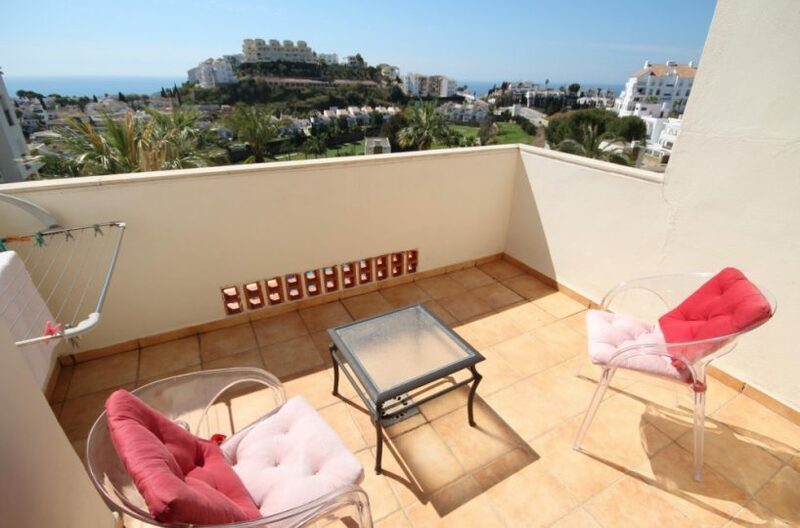 This Truly Amazing huge 4 bedroom duplex penthouse apartment with interesting views from every corner of the property. 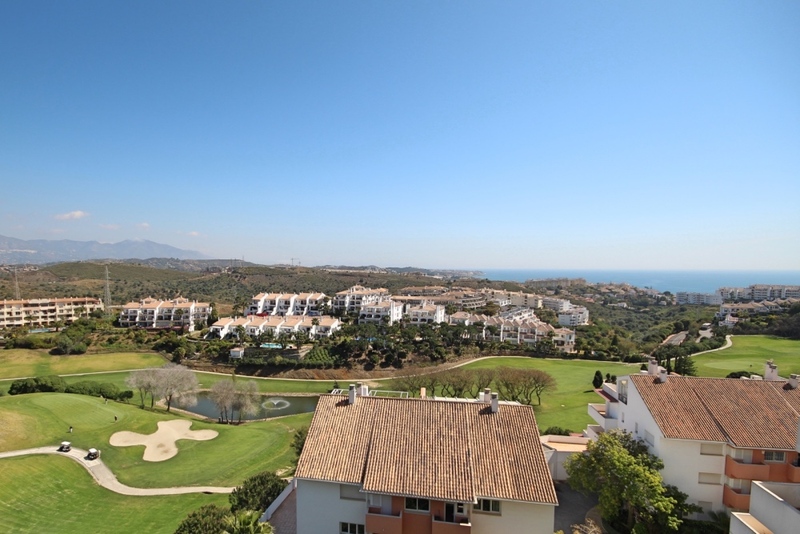 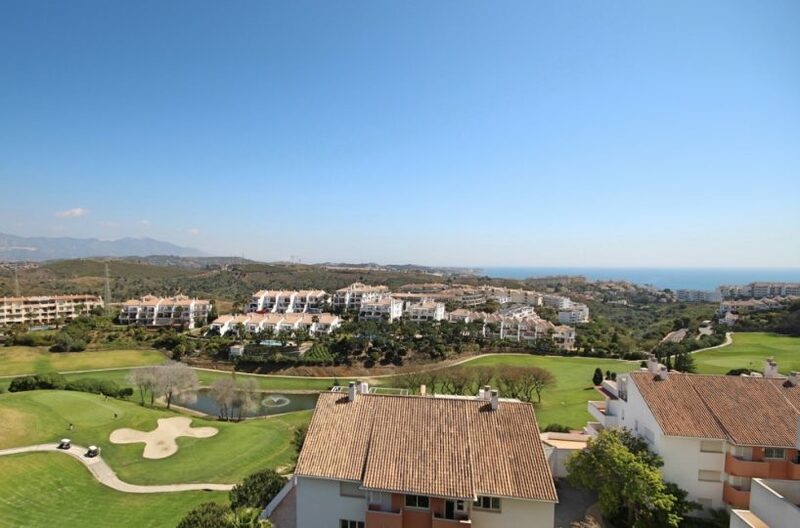 Being situated on the prestigious Miraflores golf course overlooking the club house restaurant, golf links and with the all-important sea views from the south facing part of the property. 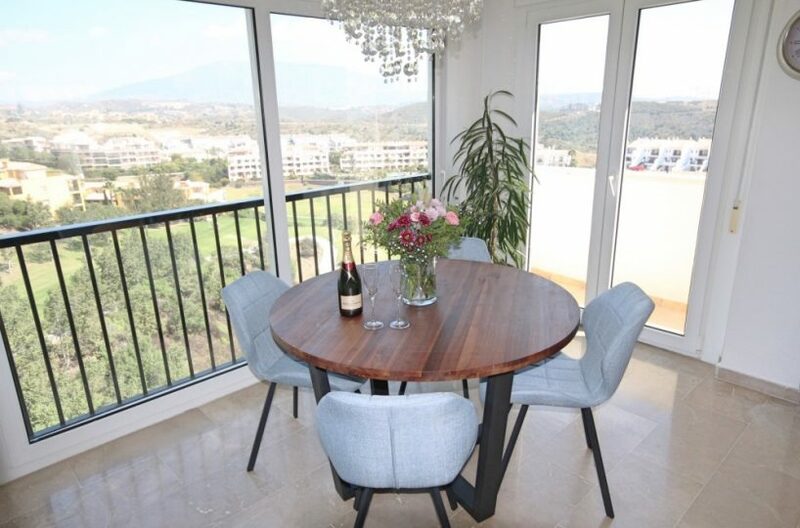 This truly is an opportunity not to be missed the property boasts many features you would expect in a luxury penthouse, but the most important one is that the apartment is not overlooked. It has total privacy from all of its neighbours. 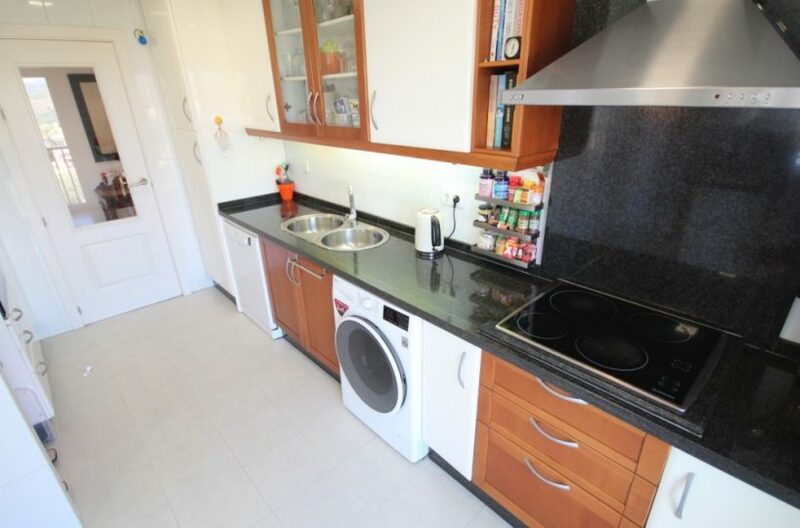 There are not many properties around which can match this one. It has a luxurious feel to the whole place, finished in expensive materials throughout. 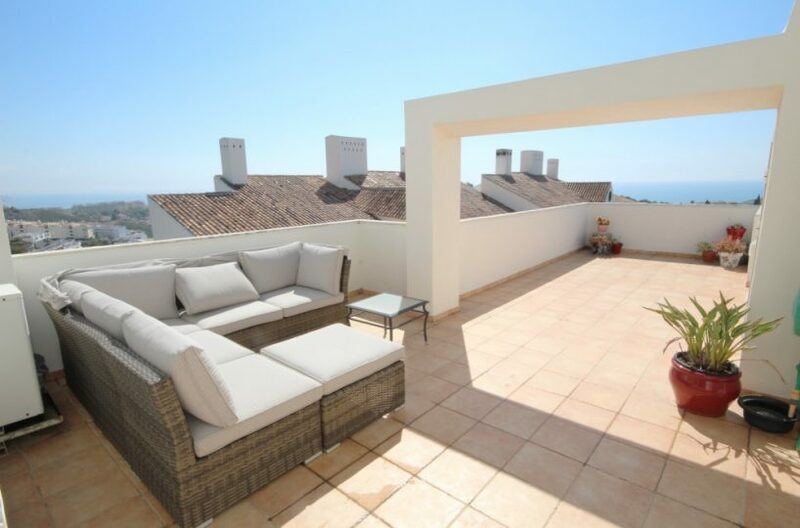 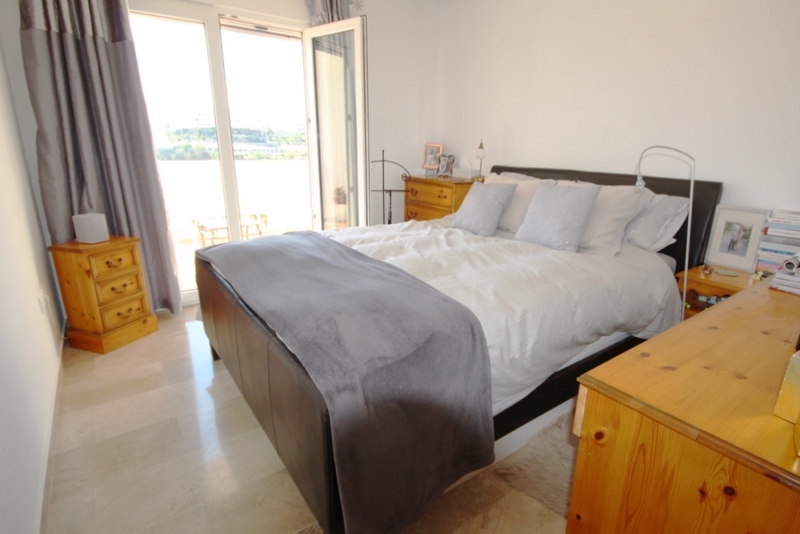 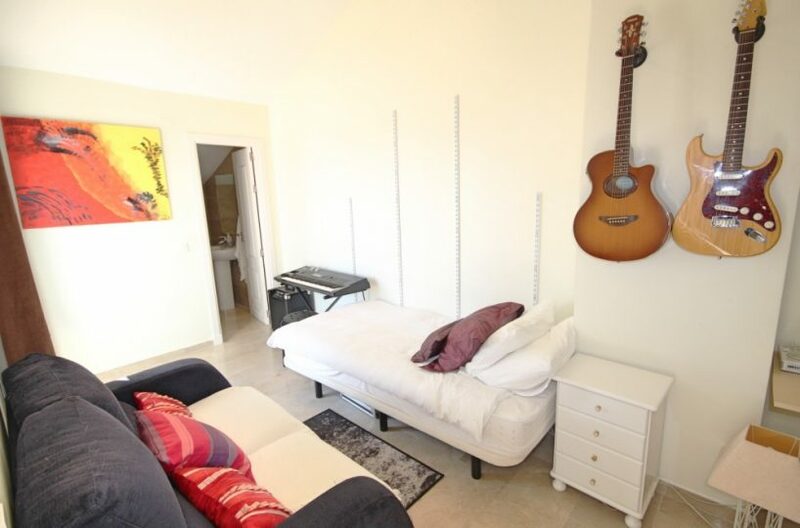 To begin with, the property consists of a lounge/diner, a fully fitted kitchen/diner, 4 bedrooms, 3.5 bathrooms (2 en suite) and a large terrace spread over 2 floors. 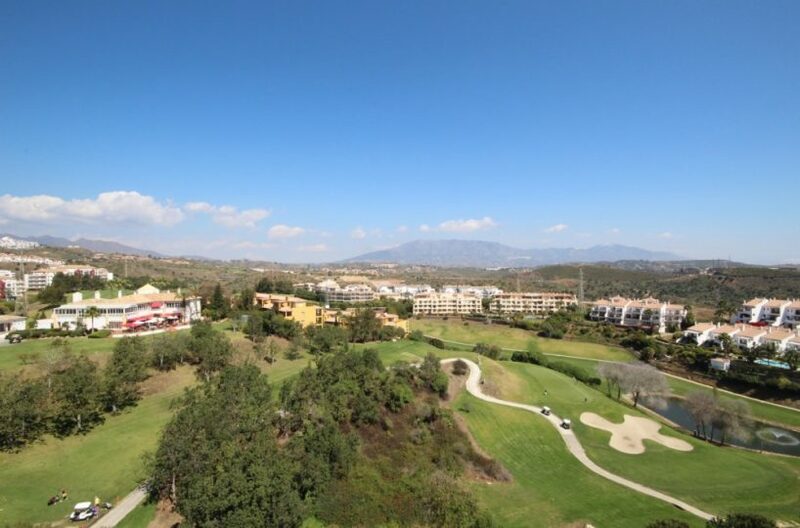 On entering the property there is an entrance hall with a guest bathroom, the kitchen is a very nice size with a built in breakfast bar and all the modern appliances you would expect to find in a luxury kitchen, with views over to the golf course. 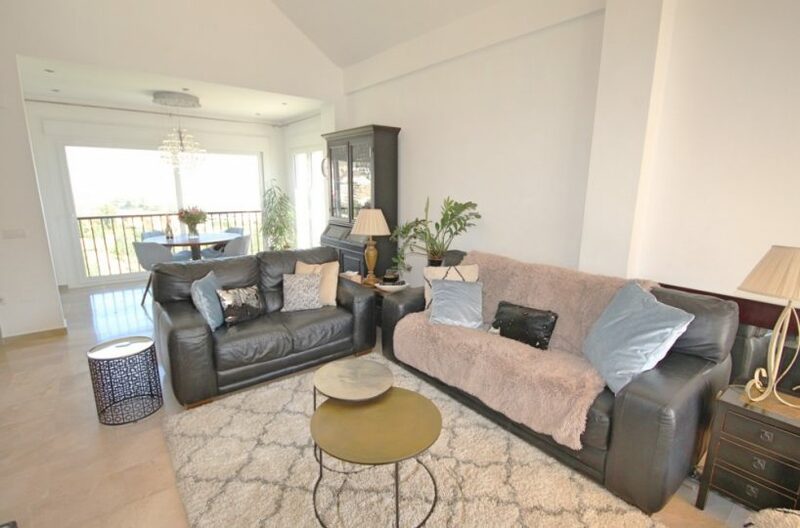 The room has large windows all around offering a lot of light into the whole area this extends to a set of double glass doors which leads out to the sunny living room with higher than average ceilings giving a superb open feel to the whole area with open fireplace. 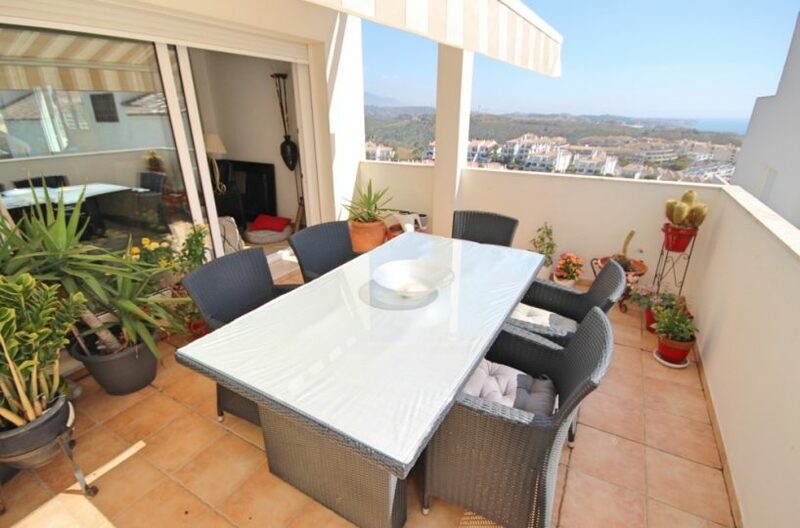 Large patio doors lead out to a large terraced area here with views to the pool and to the sea. 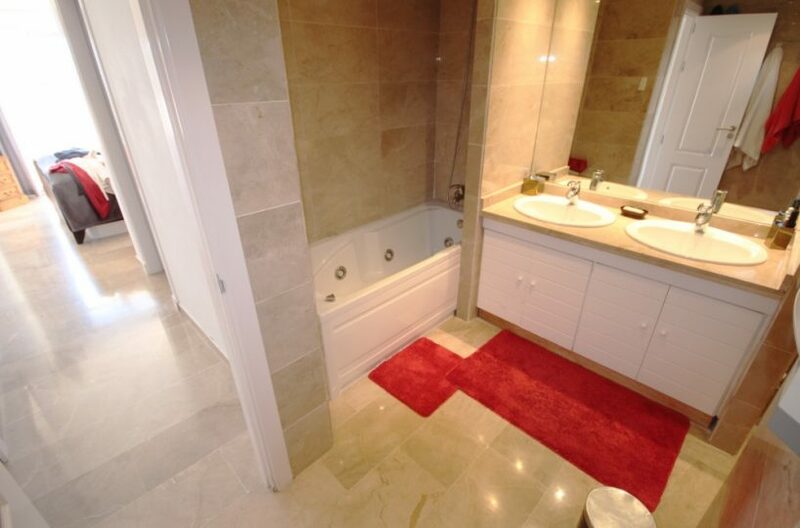 On this floor there are also 3 bedrooms the main master bedroom is a large room with walk in wardrobes a more than adequate ensuite bathroom which is fitted with a jacuzzi bath and a separate shower cubicle. 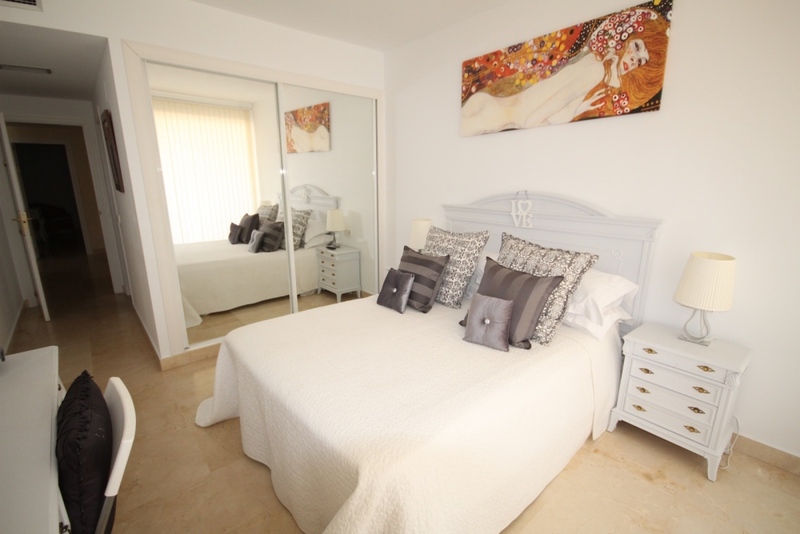 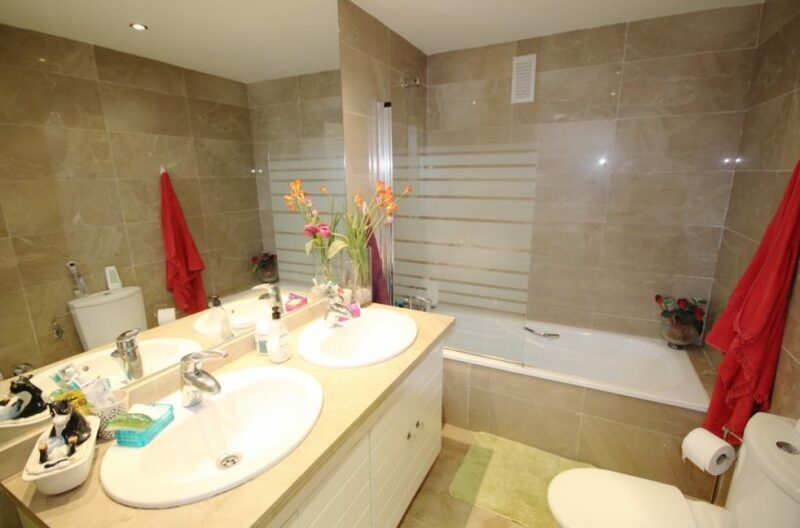 Bedroom 2 and 3 are double rooms which share a large family bathroom situated between them both. From the living area there are stairs to the above office another separate bedroom with ensuite bathroom and a 60m rooftop terrace to entertain guests and enjoy all day sun. The apartment is finished to a very high standard it boasts all those ‘little extras’ that you would expect from a high class property. 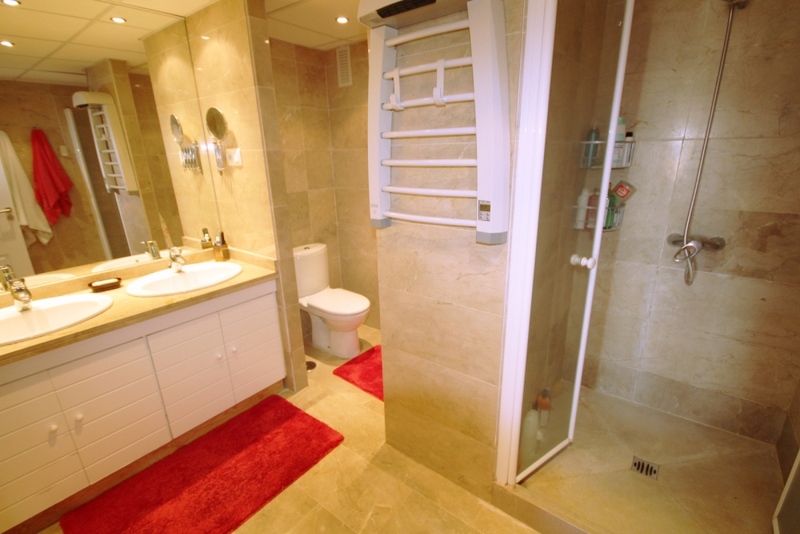 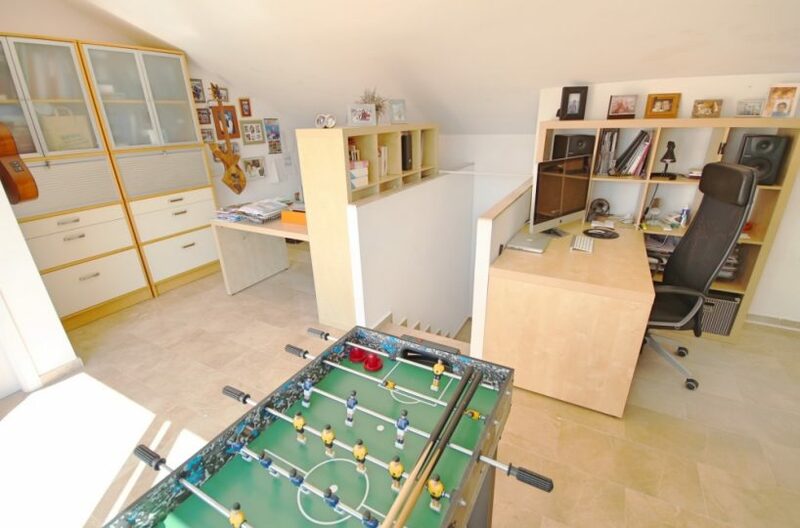 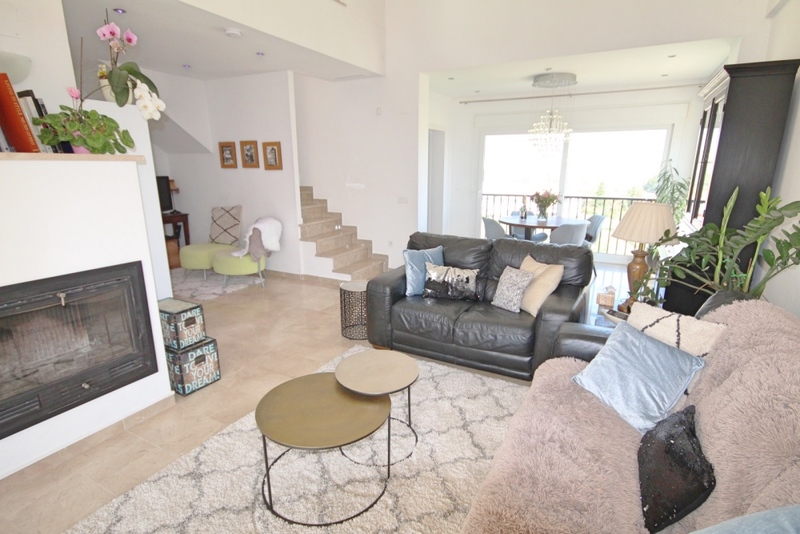 The property has extra large underground parking for 2 cars and an extra large storage room.